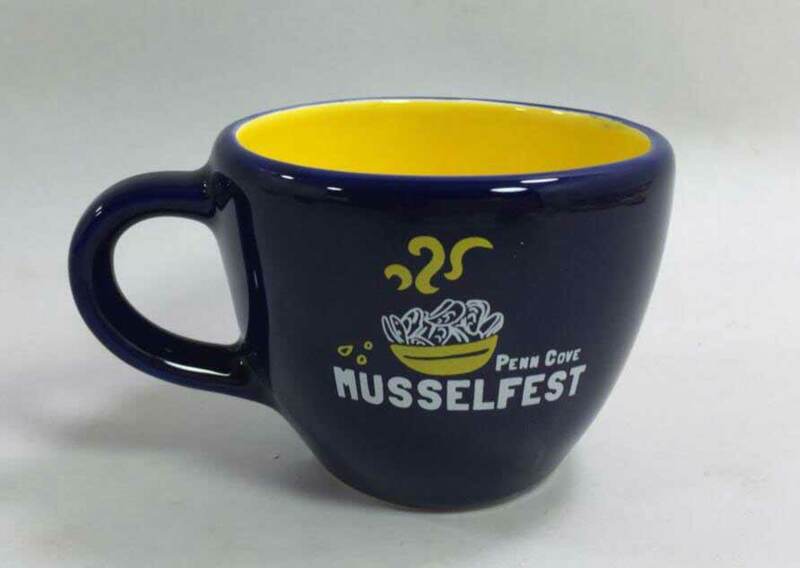 It’s official, the 2018 Penn Cove Musselfest Mugs are here and waiting for the big day! 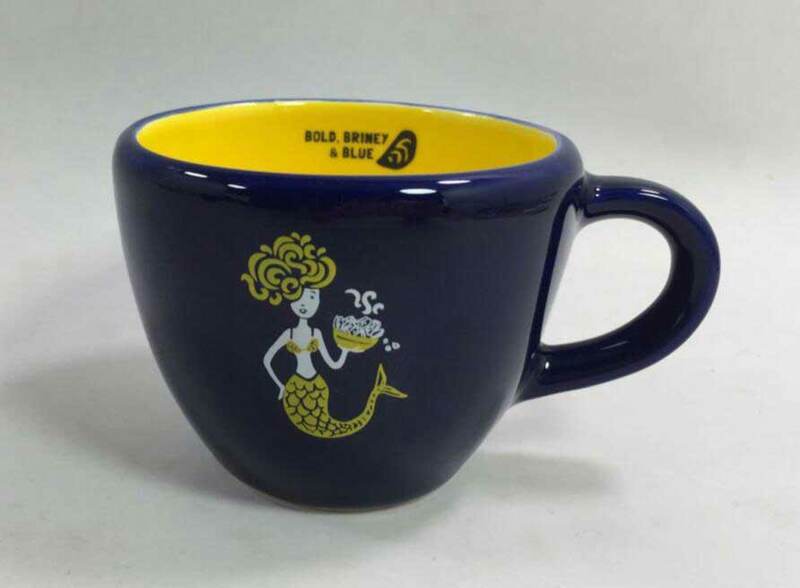 There are the official tasting mugs that you’ll get when you buy a tasting ticket. Each year’s mug is different and many people have a collected mugs from every year! This year’s is a dark blue outside with mustard yellow inside. On the outside on one side is this year’s mermaid. The other side says, “Penn Cove Musselfest” and shows a drawing of a big serving of mussels. Musselfest weekend is coming up quickly, March 3 & 4. So, make plans now to head to Coupeville!